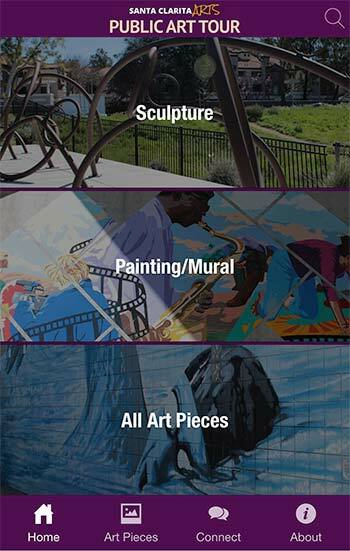 View listings of all public art pieces within the City of Santa Clarita, including photos, artist information, details about each art piece, and a map with locations and directions. View the mobile-friendly web version from any device. Launch the new web-based app from your iOS device. To save this app to your home screen, click the link then tap the Share button on the menu bar. Then select “Add to Home Screen”. Download the new Android App from Google Play.